Challenge 8: what lies beneath? Near the Parc Floral gardens in the Bois de Vincennes are two staircases that lead down to…a brick wall. What was their original purpose and what lies between the two? In this post you will find not only the answer to these two questions but also what this abandoned territory will be used for in the near future. It turns out that I am regularly in Vincennes myself and have often wondered the same thing. One staircase is almost directly outside the entrance to the Parc Floral, whilst the other is nearer to the Chateau de Vincennes. Although obviously serving the same purpose, they sit on a diagonal, and seem to have no logical link. The steps may be mysterious, but they serve many purposes! "Is there something underground that I don’t know about?" added Jason, wondering also if it might perhaps be related to the military installation nearby. There's one simple way to find out: ask Twitter. The most intriguing reply I received came from @RShinSH, who suggested they might be linked to an old railway station. Ronan also helpfully provided a link to a map where the station is shown. 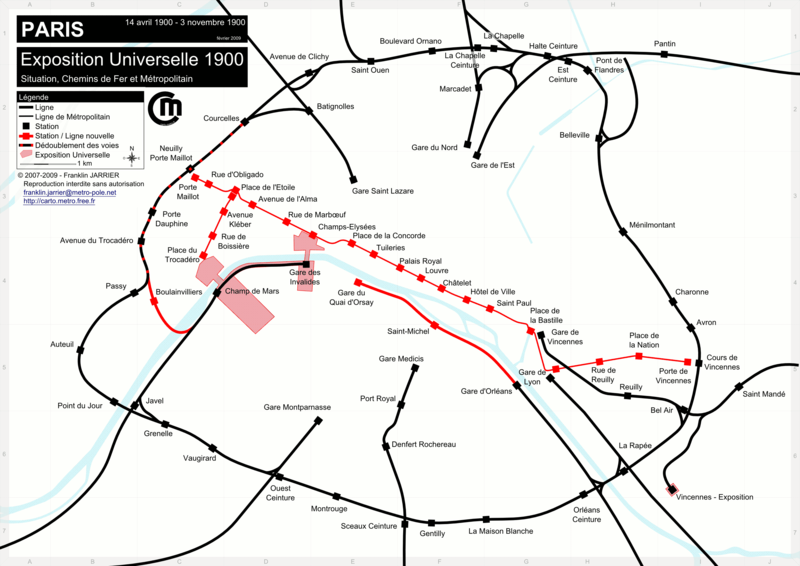 The Bois de Vincennes did play a role in the 1900 universal exhibition, with displays focusing on agriculture, sport - and interestingly, railways. Somewhat bizarrely though I can find no other mention of this station. Did it ever really exist, and if so, in what form and where exactly? Although an interesting topic in itself, it seemed something of a red herring here. The most logical link to the staircases is the Parc Floral, which was created in 1969. Largely built of concrete, the staircases appear to be of a similar vintage, but what purpose could they have served? In this quiet corner of Paris, they seem completely superfluous. The only official answer could come from the people who own them - the city of Paris. The city authorities confirmed my suspicions. "The staircases do indeed date from the creation of the Parc Floral in 1969," they informed me. "They led down to a subway which was designed to simplify the passage between the Chateau and the Parc Floral." Although is not at all clear today, in 1969 "the Avenue des Minimes was open to traffic, and was complicated and dangerous to cross." 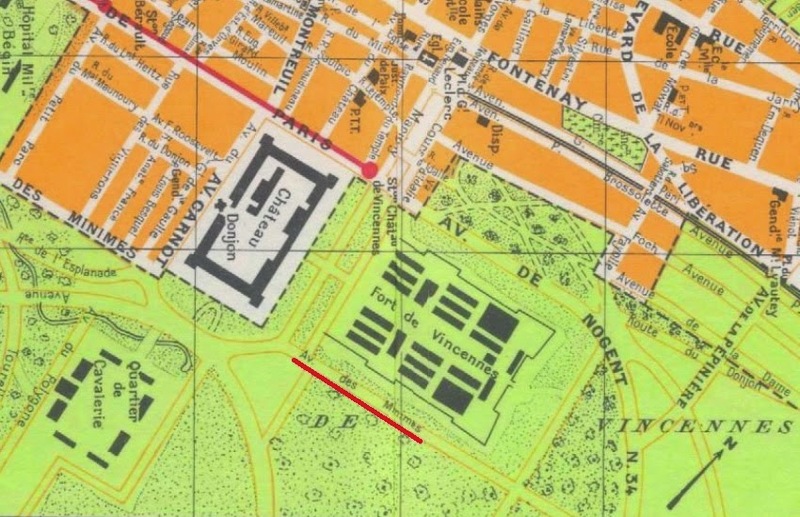 This map from 1970 shows the old configuration (with the stretch of road highlighted in red). The Avenue des Minimes was closed to traffic in 1999, with the road being transformed into a cycle path. The underground passageway therefore no longer served any purpose, and it was finally bricked up in 2010. This is the date given by the City of Paris in any case, although I don't remember ever seeing the passageway open, despite visiting the Parc Floral on several occasions before this date. If the reason for the existence of these staircases is somewhat banal, the future of the passageway is more interesting. Following a call for projects to revegetate the urban landscape, the city of Paris have informed me that they plan to use the tunnel for an experimental production of mushrooms on beds of discarded coffee grounds! Thanks to Jason for the main photo in this article. Years ago the traffic used to be so heavy that crossing with children was easier with the tunnel . Then traffic lessened and people didn't use the tunnel so much. A group of homeless people moved in and were moved on and the tunnel closed. Thanks Barbara. I hoped that someone who knew the tunnel would fill in some gaps. Do you know exactly when the tunnel closed? 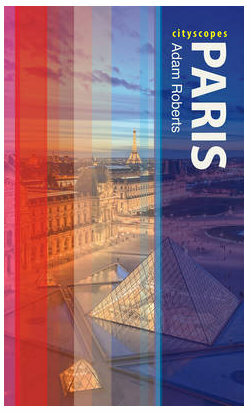 I have my doubts about the '2010' date given by the city of Paris. Thanks for sharing your investigative work! I've passed by this spot and have wondered why this passageway is bricked up as well. I enjoyed how you showed the process of how your detective work unfolded - very interesting! Pearly Queen: I guess therein lies the answer! It is also a way to 'recycle' all the coffee grounds normally thrown away by the cafes and bars in Paris. Adam we can't remember exactly when the subway was closed but 2010 could be about right . Thank you for another fascinating detective story! I hope you'll keep us updated on the mushroom farm. I just nominated you for a Very Inspiring Blogger Award. Feel free to accept or ignore!